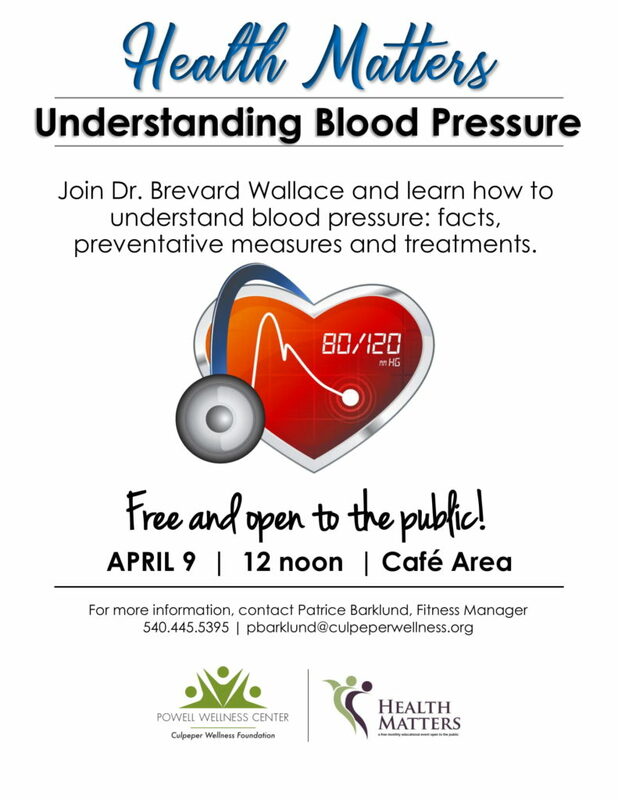 Join Dr. Brevard Wallace and learn how to understand blood pressure, including facts about blood pressure, preventative measures you can consider and treatments. Understanding your numbers is key to controlling blood pressure for a longer and healthier life. This session is part of Powell Wellness Center’s monthly Health Matters program that is free and open to the public.